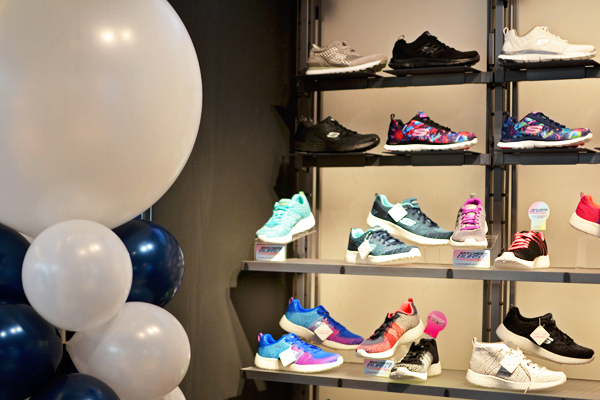 Skechers recently opened its first mono-brand store in Wijnegem (Belgium) and I was there to check things out! My dear old friend L was in need of some retail therapy and what better way to fight the wardrobe blues than to go shoe shopping! 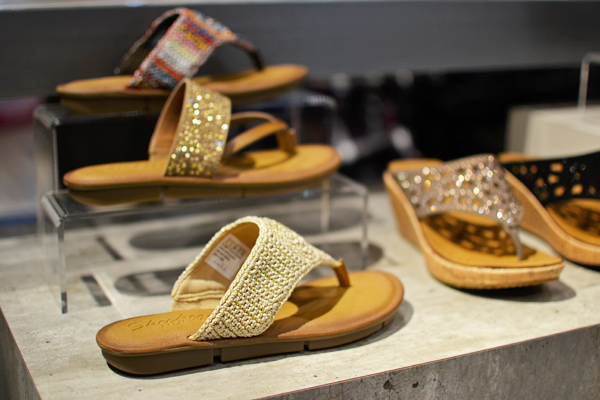 Not that I needed any more shoes, but *spoiler alert* I found the Skechers pair of my dreams. When I was in High School Skechers had its first moment right after the Von Dutch / Scapa / Converse high-tops period. Does anyone actually remember the tattoo-style Von Dutch caps or navy blue Scapa polo’s with the gigantic logo on the front? I probably only remember because of how badly I wanted to be in, but desperately was out. The same thing happened to me with just about every other hype that followed, including Skechers. I first got to know Skechers through their 2004 campaign with Christina Aguilera. I wanted a pair so much, but since I had a shiny new pair of Converse high-tops there was no way my parents were going to give in. And so the cookie crumbled. My style has been one long story of proof for the saying that “good things come to those who wait” (btw, that line comes from a Christina Aguilera song). When news about the store opening got out I just had to go and take a look. With a cupcake in hand L and I stepped into the brand new store and shopped, shopped, shopped! My Friend L choose a pretty pair of slippers and I went home with a GoStep sneaker from the Skechers Performance line, a pair that Skechers was so kind to present as a gift. Blogs make dreams come true. I’ll be talking about my new shoes in an outfit post soon and would like to give full attention to the store itself in this post. 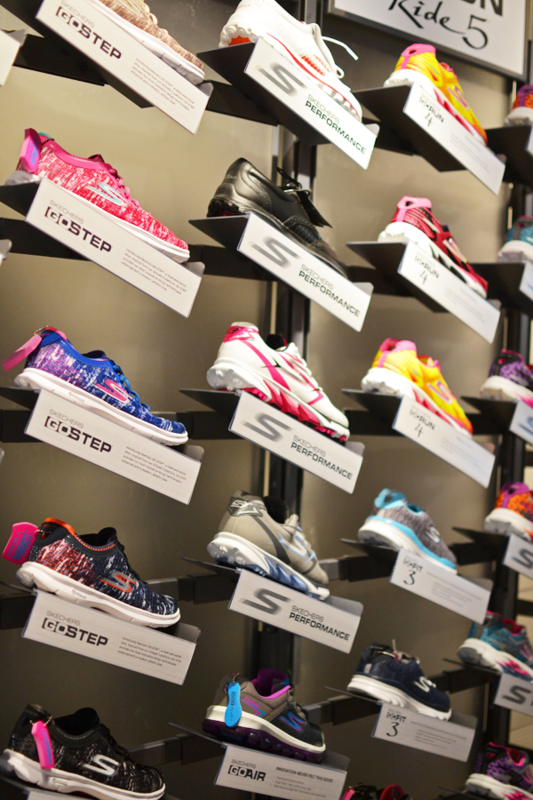 The mono-brand store showcases a large diversity of Skechers collections in a unique industrial setting. 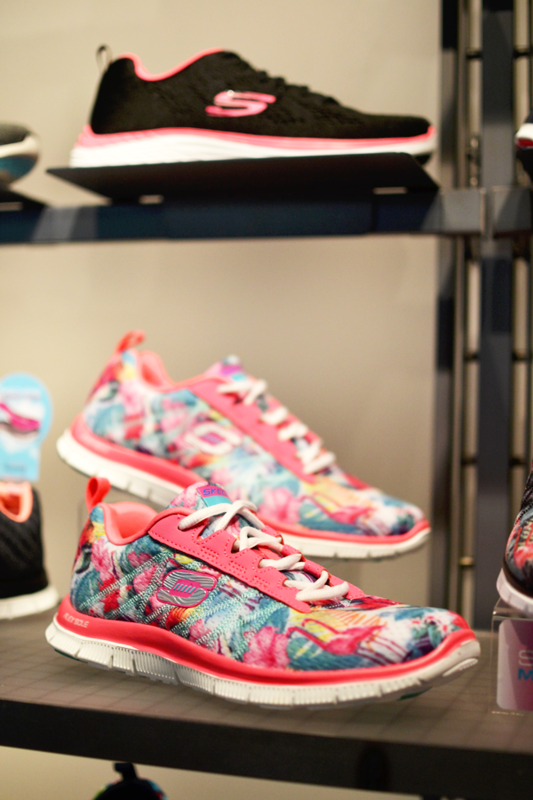 The interior reflects the pure power of Skechers shoes, yet makes you feel at ease too. The large wall shelves make it easy to see all the different models available, compare and pick your favorite. Pretty much every sub-collection is presented and you can also shop the limited edition Team Belgium Skechers designed for the Olympic games. And not to forget: one side of the store is fully devoted to men! 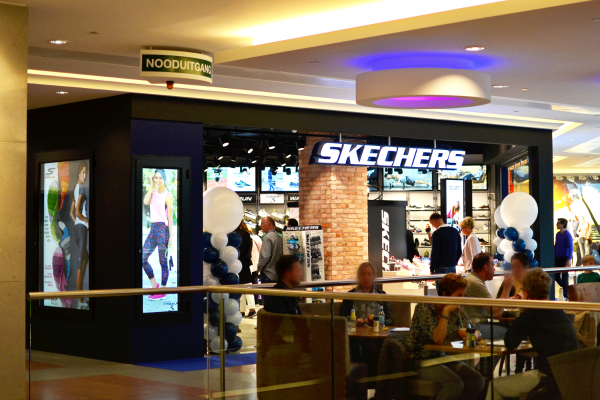 You can find the Skechers store on the first floor of Wijnegem Shopping center. Previous Post Hello there, sunshine! I can’t believe those ads are 12 years old…now I feel old! Ha! Ben jij voor de schoenen vanop de foto gegaan? Toffe winkel precies! Ik zie al zoveel mooie sneakers met gekleurde prints.